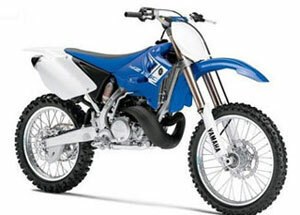 Four stroke dirt bikes are good addition to the sport and they will only improve in the future, but it's awesome that Yamaha is still making the YZ250 after all these years and the bikes are as snarly and powerful as ever. Yamaha and KTM have kept adult-size two strokes in their lineup for 2015 as well. The YZ250 (along with its little brother the YZ125) has been around since around 1974 and they're both still extremely popular bikes. Hopefully market demand will continue and they'll be around for another 39 years! Here's a 2013 Yamaha YZ250 first ride video that Yamaha put together and although some of it is hype, it still offers plenty of good info.